With millions of web users online every day and over 350 million websites, it is definitely easy enough to feel like a small fish in a big pond. Trying to draw people to your sites is one of the difficult ventures that you may embark upon as a website owner, and no matter how many advertising methods you try, it may all feel like it is vain. Translating your site is one major step you can make toward reaching out to more people and improving credibility, sales and ratings. When you are advertising a local business, no matter whether you are a website designer, an insurance sales company or a seamstress, translating your website might not be on the top of your priorities. However, a local business should do so in order to prove that they are just as credible and offer just as good quality services as other international companies. Showing a translated site shows a willingness to deal with people in all countries. When you open up your site to people from all over the world by giving them the option of viewing your website in their own language, you are more likely to gain fans. Recommendations from regular visitors to your site will see you get more impressions from your ads, make more sales and reach out to a whole new demographic. 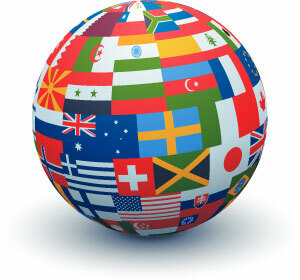 If a visitor comes to your site and it is simply written in one language, you are isolating them straight away. You may be offering a product that they could benefit from, but as they can’t understand the site they will more than likely move on. With a translated site they will be able to view your products and services as any other user would and perhaps make a purchase. By opening up your site to others, you are therefore increasing the likelihood of making a sale! People all over the world use the internet, and by allowing them to view a translated version of your site, you can speak to those people. If the site is translated well, the visitors to your site will also be able to understand more about your brand and the services or products that you are offering rather than having to patiently translate everything themselves. Don’t leave it up to Google to translate your site! Stand out from all the other sites out there and offer translation options in multiple languages to reach out to new clients and customers. This will show a willingness to reach out to others and communicate. Buyers – Make sure your site at least has two translation options, if not more – use Fourerr to get help from Native speakers from other countries or professional translators. Sellers – Got a talent for translating? Post a translation gig on Fourerr and start making big bucks! Are you translating your website? Do you translate websites? Let us know how you go about this? Leave some comments here below? I totally agree that you shouldn’t let an automatic tool translate your software, it’s really unprofessional to do that. The best option I found for the localization aspect is using this tool: https://poeditor.com/ which I recommend to all of you. It’s an online translation editor where developers and translator can get together to localize a website. It offers a nicely organized interface and useful features such as API and translation memory to ease things up.